Today's post is an update of one I wrote back when the big purple mountains were the little green hills. Back before I knew what SEO was, back when I'd be silly and creative with my post titles. I've updated the post--but the behaviors I described back then are behaviors I still practice--today! Since I am primarily a visual learner but I want to make these simple behaviors accessible to every learning style, I've created a series of short videos to help show what I mean. Let's get started! Keeping your kitchen environmentally friendly is more than buying certain products. It's practicing certain behaviors that help to reduce waste and save you money. Did you know that about 31% of the solid waste in the US is food waste? I learned that scary fact at a Montgomery County Food Summit and wrote about my tips for reducing food waste here. I want to do more than reduce my food waste, though. I want to stretch my food dollars to make more meals for my family. The first R is Reduce. I practice 3 different "reduce" behaviors to save money, get fit, and do my part to save the planet. The biggest one is that I deliberately reduce the amount of meat I eat. I pay attention to the portion sizes and often use meat as a garnish. For example, instead of each person getting a single steak on a plate I'll grill a couple of steaks, slice them into strips, and we'll each have a serving of steak strips. It's plenty for us to eat at one sitting and there's usually leftovers for another meal. What's the best way to eat less meat? Eat more veggies! Here's a post I wrote on how to boost the vegetable content of your meals all day long. I'll stretch a pound of ground meat into 6-8 servings by combining it with finely chopped vegetables. Some of my favorites include onions, celery, carrots, bell peppers, shredded zucchini or kohlrabi, chopped mushrooms, and corn. I use that veggie mix in tacos, in meatloaf, and in casseroles aka Hot Dish. One simple change I made to reduce the amount of food I eat is to reduce my every day plate size. Breakfast and lunch are often on 6½ inch plates. Snacks and desserts are on 5½ inch dishes. And dinners? I use an 8 inch "lunch" plate! I do keep my 11 inch dishes to use on Thanksgiving and other 'gimme all the sides' holidays when I'm wearing my eatin' pants. Piling food onto a smaller plate makes a smaller amount of food look more abundant, and that's another way I reduce the amount of food I need to buy. The final Reduce I'd like to share is about drinks. If your go-to drink is tap water, more power to ya! I save money and reduce the amount of waste I'm generating by reducing the amount I spend on fancy single serve drinks. This doesn't mean I don't meet a friend for coffee--that's the happy exception to my daily normal. I bring a cup with me when I go out to reduce the single use packaging waste. I choose to make my go-to fancy drink (for me, Iced Chai) at home. Here's my DIY Iced Chai recipe. This Spring I'm testing out different methods to make a DIY version of the slightly sweet fruity tea that we like to drink on expeditions. Flakes of salmon and crunchy blackberries covered in a lemony cream sauce served on pasta. 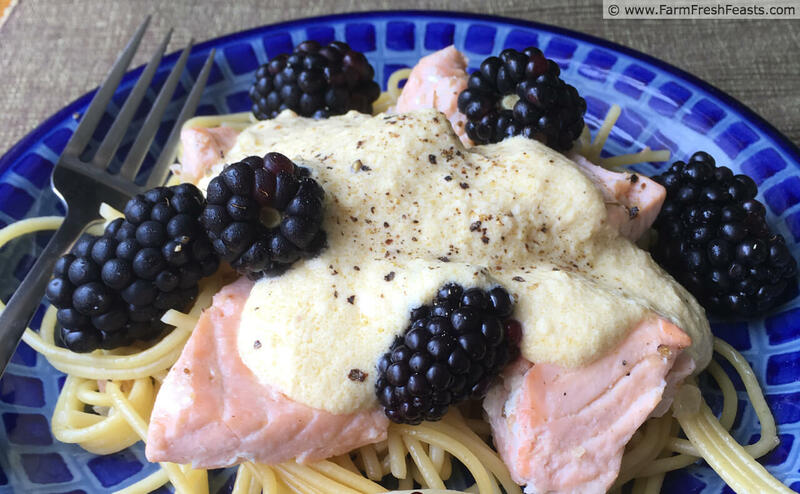 This lemony cream sauce is the perfect accompaniment to the juicy crunch of fresh blackberries and enhances the delicate flavor of the salmon. Serve over pasta with a side salad or green vegetable to make a colorful complete meal in about a half hour. I'm breaking a bunch of rules with this recipe. First--fruit with fish? Okay. Been there, done that with my Salmon in the Company of Good Oranges recipe. Second--a cream sauce for fish? Well, why not? I mean, I like an Everything Bagel (focaccia recipe) with cream cheese and smoked salmon after all. 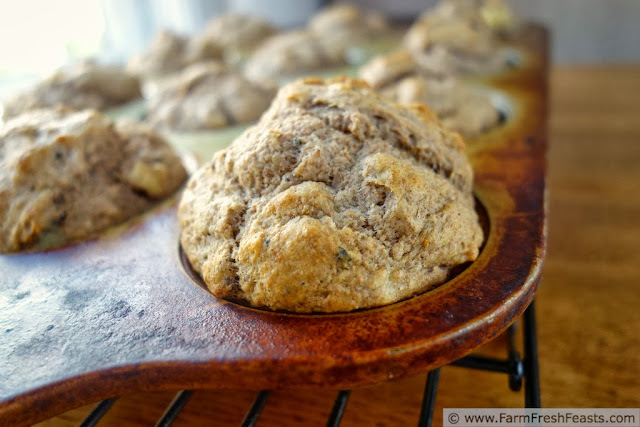 Finally--I'm sharing a recipe using a produce item OUT OF SEASON?? Yes. Yes, I am. I'm in the middle of a spring snow storm and I need to think Happy Thoughts of warmer times. 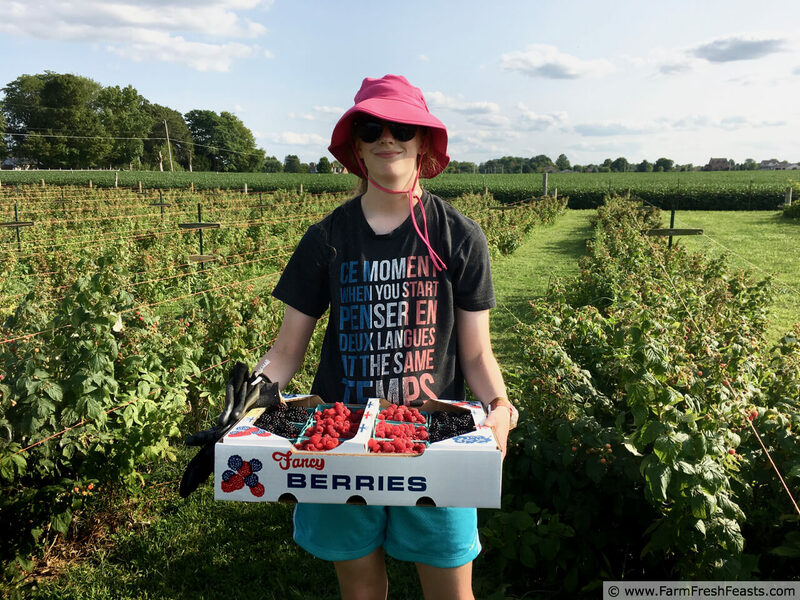 Working with these photos and remembering this memorable dish gives me hope that Spring--and eventually the summer berry season--will arrive. 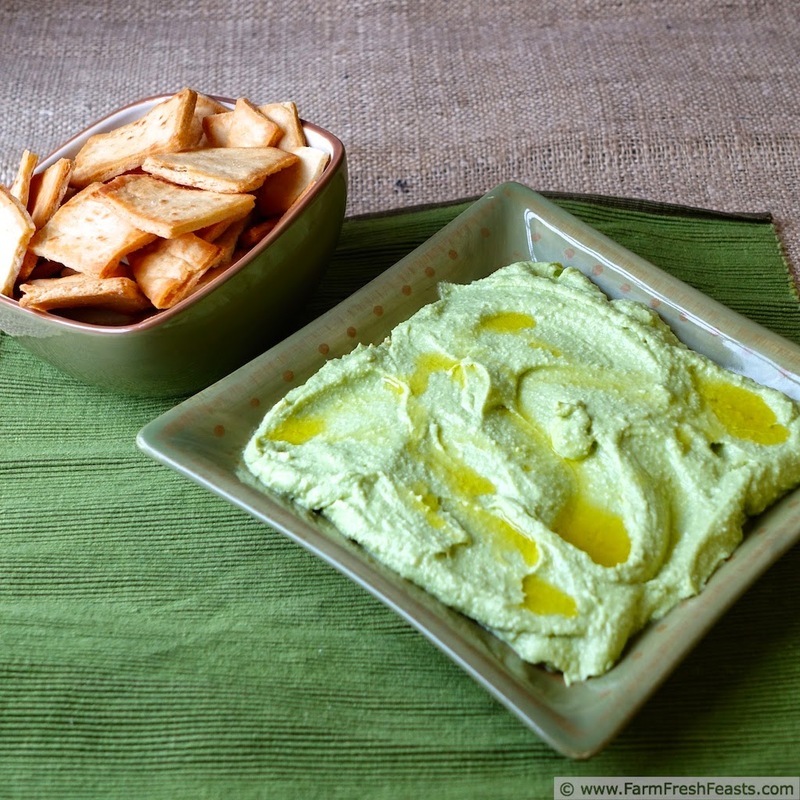 Avocado feta hummus is a pretty and protein-rich vegetarian appetizer. Customize your platter with diced vegetable toppings and use pita chips or sliced vegetables as dippers. Being an intentionally seasonal eater means I get to eat amazingly delicious foods. Fresh food--tomatoes, strawberries, even celery--just tastes better and I'm usually willing to wait out the winter months for those fresh tastes. But if I limited my diet to solely local foods, I'd miss out on bananas, avocados, olives, shrimp, chocolate, salmon, tea . . . lots of stuff! I compromise, of a sort, and think Kristy's idea of eating 80% local/20% other, as described in her podcast, is a terrific idea. Every beet we eat is locally grown. All the kale, as well. Much of the tomatoes and tomato-based products we eat are from my backyard and our Community Supported Agriculture (CSA) farm share. I make enough pesto to last us for the year. I'm also good with garlic, between roasting my own crop and using the fresh stuff from the farm share. Avocados are an area where I enjoy breaking out of the local foods mode. After all, no avocado trees grow in my backyard (although I did have a banana tree when we lived in Hawaii)! Several years of resolving to add more avocados to my life [this is a New Year's Resolution more should adopt--it's fun!] means I am happy to report that I've gone beyond guacamole and avocado toast. 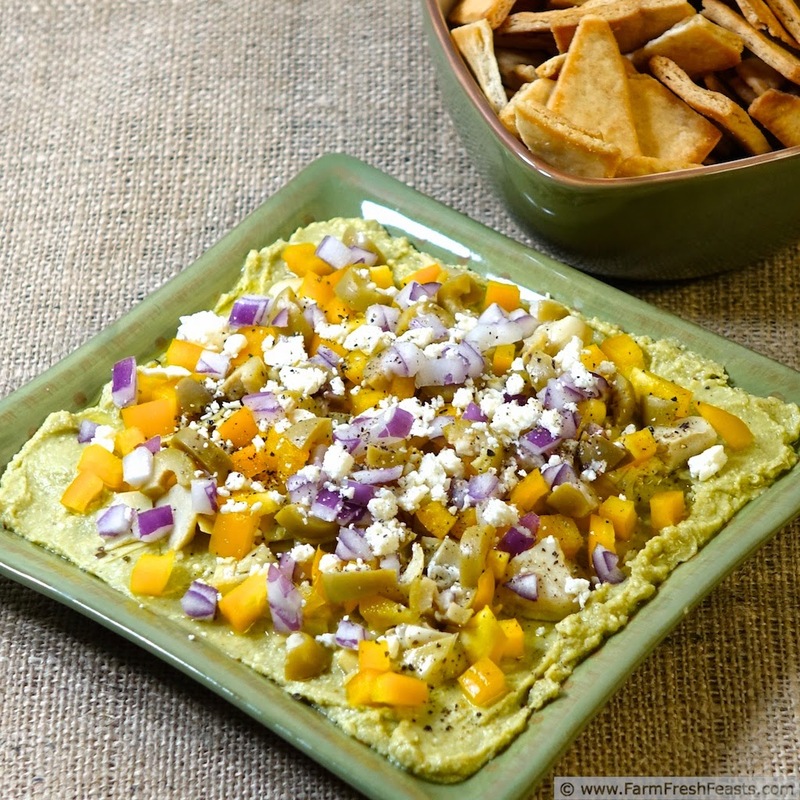 As soon as I tried the combination of salty feta and creamy avocado in Maria and Josh's Avocado Feta dip I was hooked. I keep coming back to that combination. 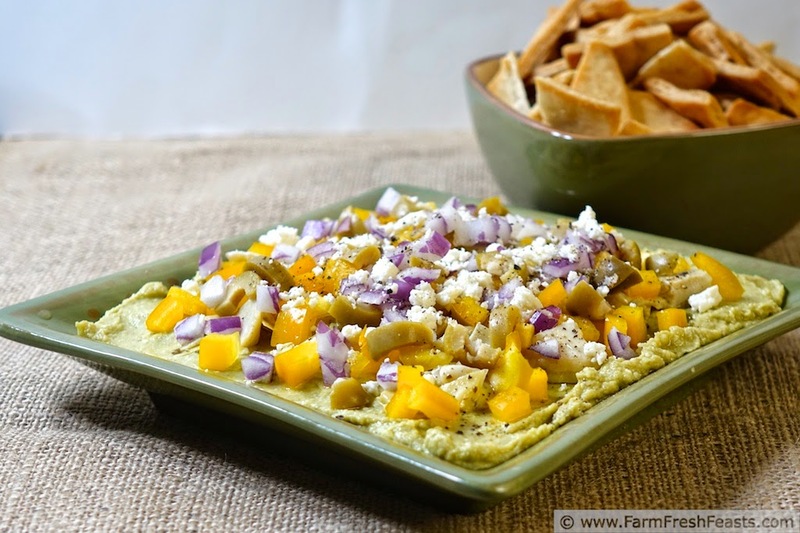 I shared an Avocado Feta Lemon Yogurt Dip, and today I've made it into a hummus. I think this dip--with the green olives, yellow peppers, and red onion--looks like Easter egg colors. I'm sharing it now just because I thought it would be a nice Easter appetizer, and I like to plan ahead.